Heat oven to 375°F. In small microwavable bowl, microwave garlic, butter and oil on High 30 seconds or until butter is melted. Stir in basil and parsley; set aside. 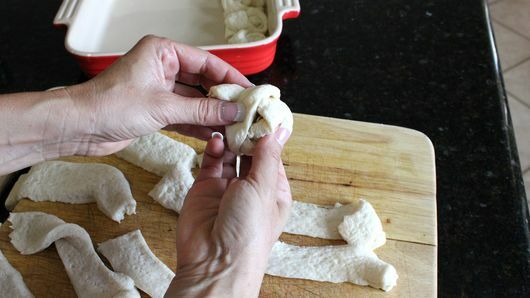 Unroll dough; separate into 12 breadsticks. Twist and tie each breadstick into a “knot-like” ball; place in ungreased 9-inch round cake pan. Spoon butter-herb mixture evenly over top of each knot. Sprinkle with salt and pepper. You can replace the fresh herbs with 1/2 teaspoon each of dried basil leaves and parsley flakes. Grated Parmesan cheese can also be sprinkled on the rolls before baking. There’s garlic bread, and then there’s these garlic knots—trust us, you’re going to want to make the latter! 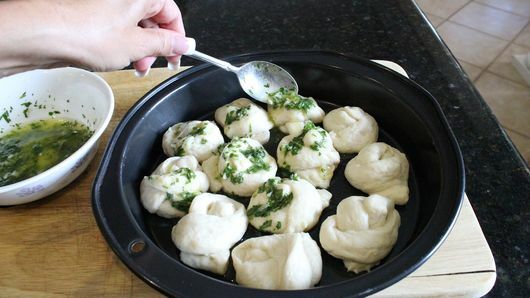 Fresh herbs, butter and garlic get brushed on breadstick dough that has been shaped into poppable knots for an impressive-looking, delicious side bread that pairs perfectly with your Italian dinner. Serve it with pasta dishes like spaghetti and meatballs, lasagna, ravioli or fettuccine! 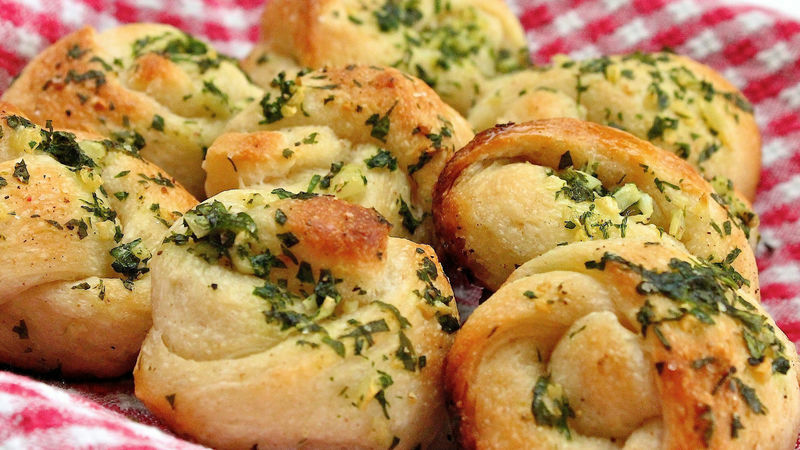 You can even serve these garlic knots as an appetizer, should you choose. Sprinkle with extra Parmesan cheese for more flavor, or dunk in marinara sauce for a yummy twist. Not confident in making bread knot shapes? We broke it down step-by-step for you in this article so you can master the skill quickly. And if you want to try your hand at more creative side breads for your next feast, browse through more of our top-rated recipes.